After overindulging during the holidays, many of us resolve in the new year to eat less and exercise more in order to lose weight and get more fit. The resulting healthy glow comes from feeling more energized, motivated and confident. Imagine imbuing your writing with the same kind of energy! 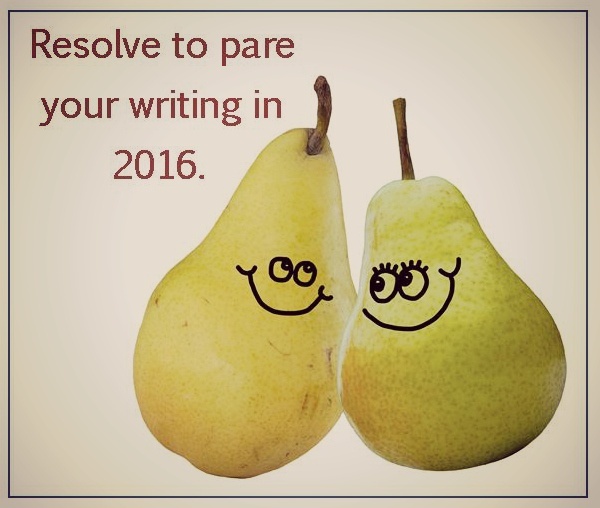 Eliminating the bloat can make your writing come alive and practically jump off the page to draw readers in.